If you are one of the increasing number of adults thinking about having their teeth straightened, you probably also want to do it with braces that aren’t going to invite an influx of enquiries and personal comments, however well meant. If you live in Weybridge, Incognito braces could be the solution you are looking for to keep your dental treatment private. Incognito is the name of a brand of braces that are effective, but incredibly discreet, hence the name. 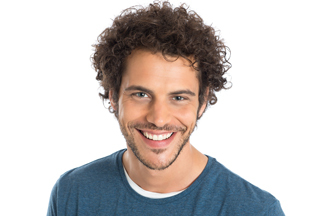 In Weybridge, Incognito braces are one of the teeth straightening treatments available at Weybridge Orthodontics, a dental clinic that focusses on correctly misalignments in your teeth. Incognito is great for patients who really don’t want the whole world to know they are having their teeth straightened. This is because Incognito braces are fixed onto the insides of the teeth, rather than on the front. People cannot see them, and will not know you are wearing braces unless you wish them to. Incognito braces are 100% customised to fit your teeth and dental requirements. The brackets hug the tongue side of your teeth. The arch-wires and bonding trays are also made to your measurements, so that they are comfortable to wear while delivering targeted results. When you come to our friendly dental practice for a consultation, we’ll use 3D imaging technology to show you how your teeth will look after treatment. We will also make a detailed and thorough examination of your mouth and teeth, taking precise measurements to ensure that your braces are of a comfortable design and fit. Right now, in Weybridge, Incognito treatment starts from £3,950 at Weybridge Orthodontics. If you make the decision to take up the treatment, and then refer a friend to us for treatment, we will give you £25. Why not give us a call today and make an appointment? This entry was posted in Incognito on 31st March, 2017 by Weybridge and Kingston.